What are the smart meters? Where do they install the smart meter? When will I be able to get a smart meter? If my renters want a smart meter, but I don’t, can I stop them? Can I still switch the energy supplier for that property? Are smart meters available for renters? Will smart meters cost me? Do I need to ask permission to get a smart meter? What are the benefits for me, as renters? Can a smart meter save me money? There’s no doubt that you will have heard about smart meters, but usually, the information is aimed at homeowners. So what about landlords? Or tenants that rent a property? This guide will tell you everything you need to know about smart meters for landlords and renters, including what they are and all your frequently asked questions answered. If you do, however, this guide can help you to make an educated decision about smart meters for renters and landlords. Smart meters allow your energy company to be sent information regarding your energy usage. That typically means an end to estimated billing, and your renters won’t have to remember to take meter readings frequently as the smart meter does it automatically. Your renters will be able to see how much energy they are using by taking a look at the handy in-home display, plus how much that is costing them. Usually, your smart meter will be installed in the same place as your analogue system. The in-home display, on the other hand, can often be placed where you want as long as it can still talk to the meter. This depends entirely on your energy supplier, as it requires there to be a waiting list available, or your energy company needs to be installing smart meters in your properties area. In short, yes. However, only if you pay the energy bills for your property yourself. If your renters pay the bills and their name is on the bill for that address, they have the right to install a smart meter. While there are no upfront costs for having a smart meter installed, you will be charged around £14.36 extra a year regardless of whether or not you have one. In other words, you will save no money by rejecting the offer. Yes, you can still switch energy supplier when you have a smart meter. However, sometimes switching energy supplier means that the first generation of smart meters might lose some functionality. With the second generation, that shouldn’t be a problem anymore. Yes, as long as you have control over your bills, you should be able to request a smart meter. Generally speaking, your supplier should get in contact with you within the next couple of years to offer you a smart meter. Currently, the ‘big six’ energy companies are only installing a smaller number of smart meters into homes so that you can register your interest on their websites and they will get back to you if you are eligible. 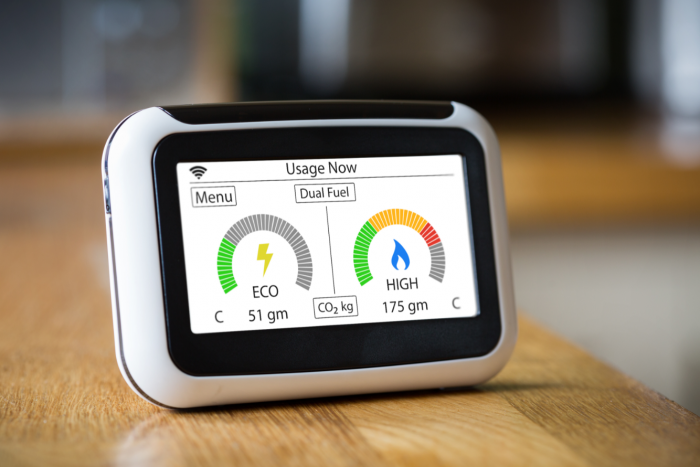 Although there is no upfront cost for smart meters or the in-home display they come with, there are going to be costs spread across every energy customer which comes up to around £14 a year. In other words, you won’t have an extra charge on your bill, so there’s no need to worry about that. It depends entirely on whether you pay your bills directly, or not. If you do, you can not only request a smart meter, but you could also decide to switch energy suppliers if you wanted to. On the other hand, if your landlord pays for your energy, you may need to ask for permission. However, as there are many benefits for tenants and landlords, they might be inclined to agree. Yes! Smart meters have multiple benefits, many of which will save you money. Are you interested in installing a smart meter in your home?